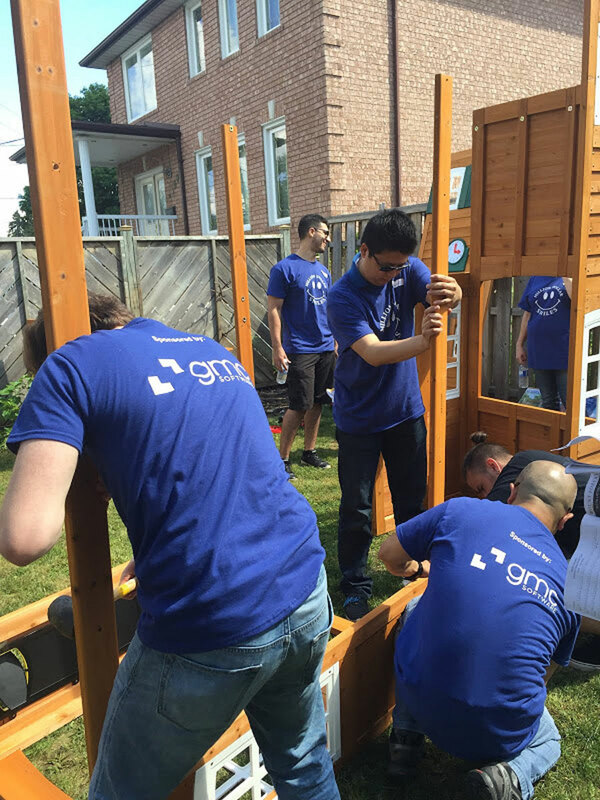 On June 26, 2015 GMC Software Canada enriched the lives of 2 year old triplet boys and their family. 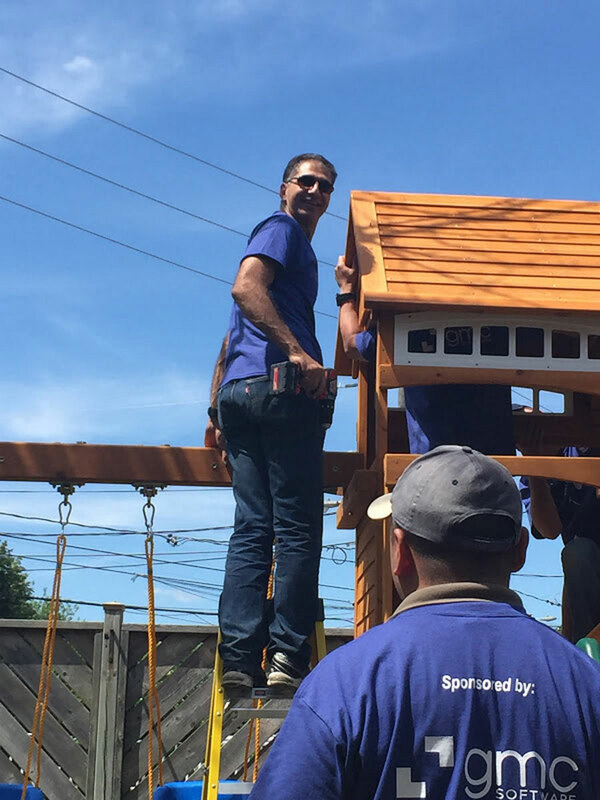 Million Dollar Smiles is an organization that builds playgrounds for children who are battling life threatening illnesses and/or special needs and are unable to go to public parks because of their compromised immune systems. 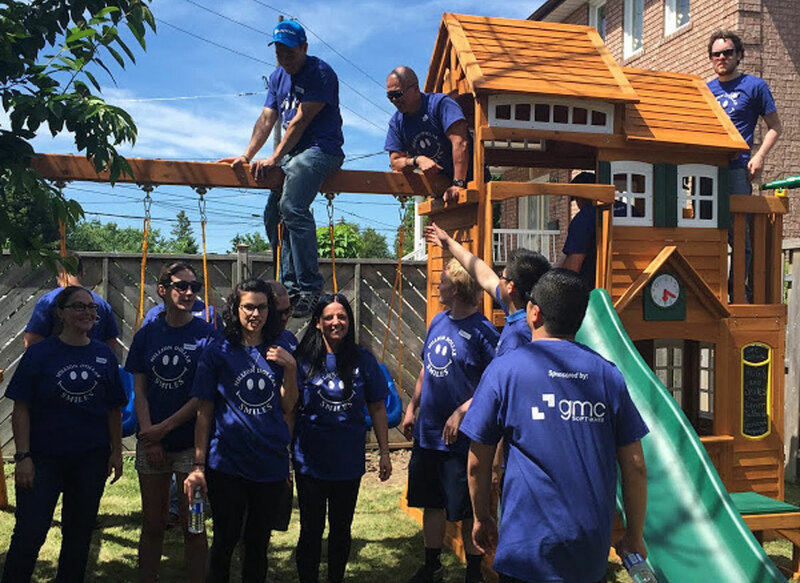 They needed a playground, they needed some smiles and GMC Software was there to make it happen!